Date: 17/07/10. School is so close to coming back that it hurts. I hate this time of the holidays. Never heard of Open House? 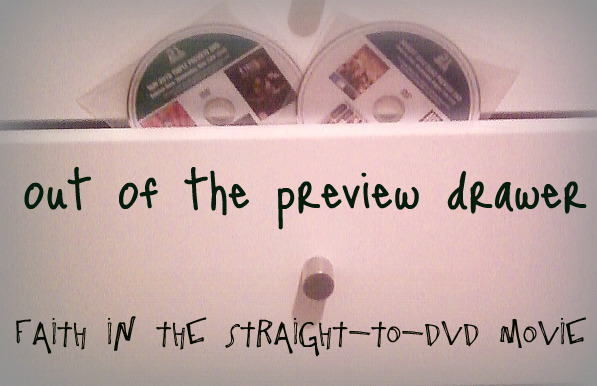 Neither had I, until I found it in the preview drawer, where the disc heralded Anna Paquin as the main star in this. Then I found out that Stephen Moyer was in it too. It would have been nice to see these two outside the world of Bon Temps and into something which is kinda real. The thing is, Anna Paquin was in the film for like five minutes (literally), said very few lines, yet still managed to be the 'main star'. Stephen Moyer was in the film for a bit longer, but not compared to the leads who deserved higher billing even more. Alice (Rachel Blanchard) is trying to sell her home after divorcing her husband Josh (Stephen Moyer). After an open home, the house seems well on it's way to being sold. But the prospective buyer didn't leave the house, and instead holds Alice captive in her own home. The new guests make themselves at home while she tries desperately to get out. Okay, I realize that this is Andrew Paquin's first film effort, and I can see that he has a lot of potential. But this film is terrible. So, so terrible. Everything is so poorly done. The acting, first off, is bland and I couldn't believe a word anyone was saying, nor did I care for the characters, so when they died I wasn't feeling any remorse. The gore was second rate, and the film seemed to resort to blood as a way to keep the viewer interested. And because a lot of people died, there was a lot of stupid blood and what not to put up with. Then there was the story. This could have been an average concept, but the reason it didn't work was because there was a lack of character development. In fact, I'm sure that the people in this were just names and those names got filled with a bland actor who said everything they were supposed to say--it was like those stupid School Journal plays we used to have to do. And the complete absence of explaination behind the killers motives made it all very flat and silly. These people were killing everyone, but why? What were they trying to do? You can see some of the potential in the director, but you best wait until he directs something better than this. It's terrible.